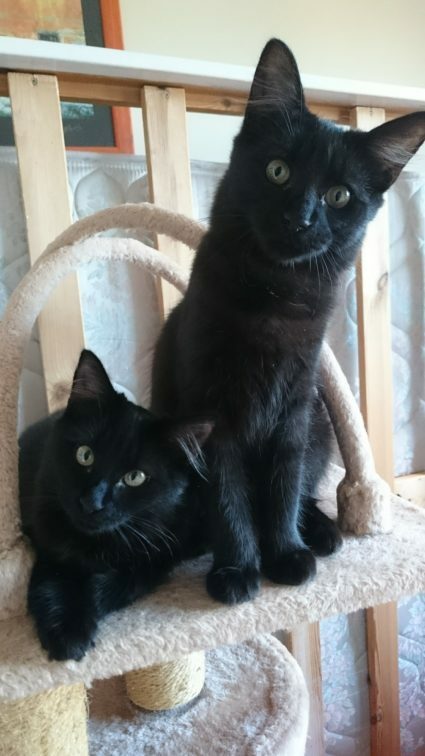 Betty is a beautiful long haired black female kitten aged around 6 months. She is the sister of Bob and Benny who went to their forever homes in early December without her. Betty was always shyer than her two brothers but has blossomed into being very sweet and friendly …..in fact her new nickname is Velcro! Her favorite pastimes are sitting on your lap, playing games and eating – in that order! Her favorite toys are the laser beam and a feather teaser. She is getting more confident every day but still a quiet household would suit her best. She currently lives in foster with two other kittens and plays all day long with them. Betty also likes her fab long hair to be brushed with a rubber zoom-groom and if she really likes you she will let you do her tummy too! 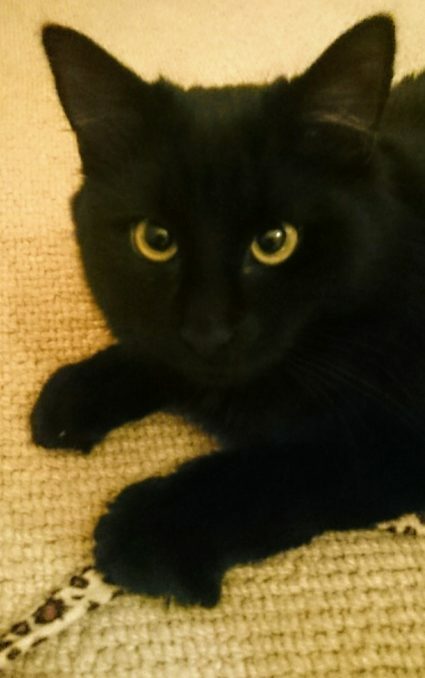 Betty is now neutered and vaccinated and all set for her new home. If you feel you can offer Betty-Beau a home she deserves please get in touch today.